Rising inflation to cause Pound to fall further this week? A strategist at Credit Agricole pointed out that consumer credit doesn’t usually affect GBP rates that much, but seem to have been the trigger for the fall in the Pound on this occasion. Initially the Pound didn’t react, but pretty soon as investors digested the news the sell-off began. Investors are worried about something that I mentioned in a post earlier this week; Inflation. A weak Pound causing inflation that is not matched by wage growth will eventually result in consumers tightening the purse strings, and it looks like markets are starting to position themselves for that reality. Later this week we’ll see the BoE’s inflation report and I think this will be key for whether GBP/EUR continues to fall. Today’s move may well simply be a precursor of what happens on Thursday. After months of strong economic data from the UK, the changes we are starting to see could herald further negative data as the effects of a weak Pound filter through to the real economy and push up prices. Hopefully the Pound hasn’t crossed the Rubicon quite yet, but as we enter a period of important political and economic events, there is every risk the Pound will fall further. All eyes will be on the BoE this week to see how they think inflation will affect the economy, and investors may decide to continue to sell the Pound. 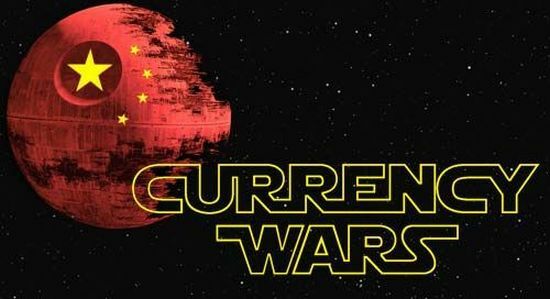 Shots were fired by Trump’s team today that may prove to be the opening salvo in a global currency war. Exacerbating the downward move in GBP/EUR was a resurgent Euro, helped along by a Trump trade advisor saying that the Euro is grossly undervalued. The single currency climbed to a 5 day high vs the USD as a result, and kept GBP/EUR low. GBP/USD actually recovered its losses to end the day higher. This was caused by USD weakness, caused by comments Trump has been making about China, Japan and Germany all trying to weaken their currency to remain competitive, leading some to think Trump may embark on a similar strategy of currency devaluation to make US goods cheaper. Lots happening then, and the currency markets remain volatile and increasingly unpredictable. In the last 2 weeks alone the price of a €350,000.00 property in Europe has fluctuated by over £13,000.00, illustrating just how quickly things can change.